tonight’s event at busboys and poets with the national gallery of art was much fun. 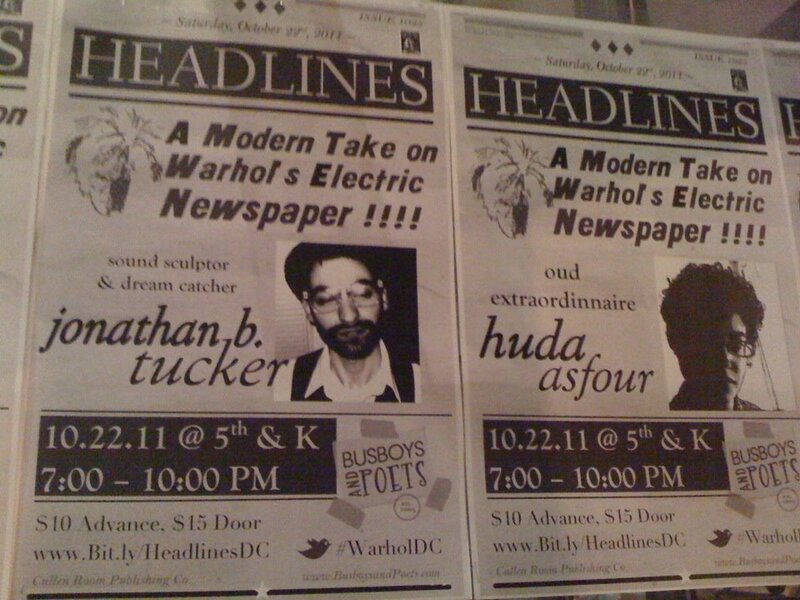 we recreated the electric headlines of andy warhol’s day with dc artists mixing together topical subjects of today like troy davis and the death penalty, palestine and dc statehood, and corporate greed and the occupy movement. i performed alongside christylez bacon, huda asfour, head roc, bruce lebovitz, gowri koneswaran, and more for a packed house at the downtown busboys and poets.